There is some awesome graffiti in London! What? 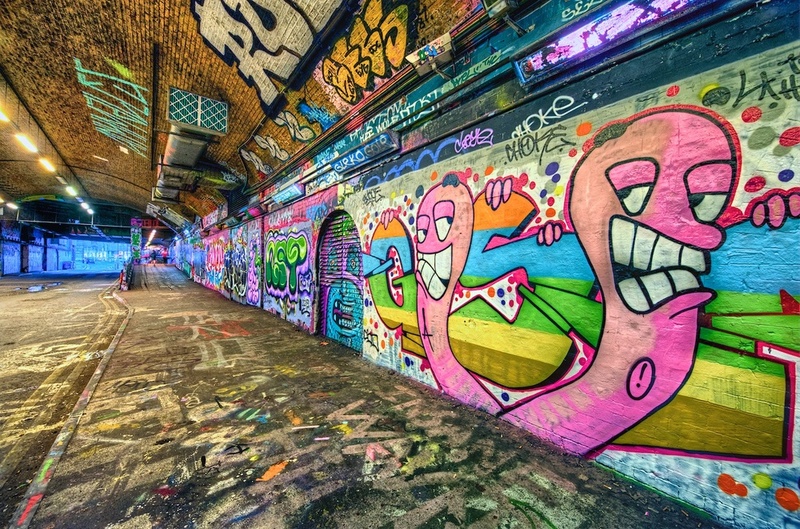 You didn't know about the graffiti tunnel there? Well, you are missing out! Obviously you have to have some interest in graffiti, otherwise this will totally bore you. But if you do have some, then be sure and check this place out - it's awesome. It's also just a 5 minute walk from the London Eye, so it's easy to visit when you are there, because we both already know that you will find yourself at, on or underneath the London Eye at some point in your trip, right? It's ever-changing so I try and visit whenever I am there, although I admit I don't always succeed at that. But each time I go, it looks totally different. So this is one of the places you actually can shoot every time and know it will vary! Have fun!